Rocky Harmon wasn’t named after a famous boxer, but even at an early age he had a way of shaking things up. 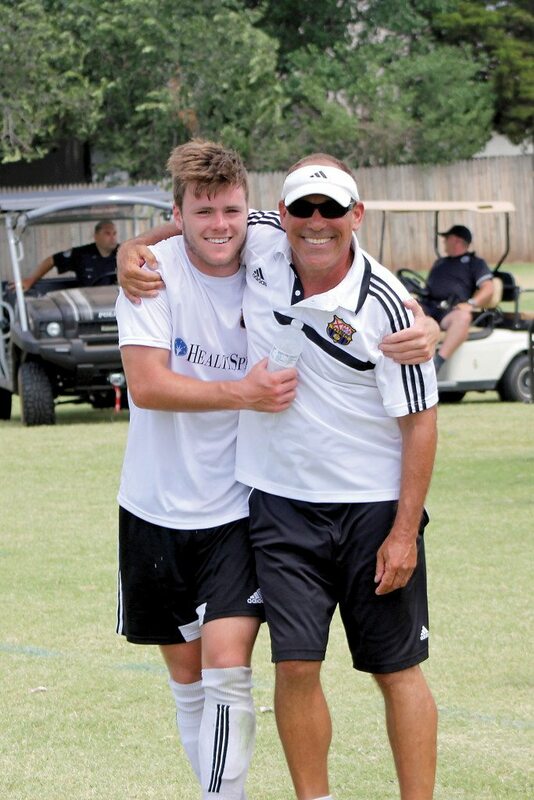 Harmon has spent the past eight years as executive director of the Vestavia Hills Soccer Club, and he’s still showing that knack for making things shake and move. Under his leadership, the VHSC has grown from 19 teams to 46 and features programs that go far beyond just teaching youngsters to play soccer. Most of all, Harmon is a tireless promoter of the game. Harmon takes his message to virtually anyone who wants to listen – he’s a popular speaker on the local civic club circuit – but thinks it’s important to reach elementary schoolers. “If you can reach the six-, seven- and eight-year-olds at an early age, they eventually become 13- and 14-year-old players,” he said. A native of Ohio, Harmon played soccer at the University of Tampa. He later coached at the high school level before earning an advanced degree in sports administration at the University of West Virginia. Harmon was working in Georgia as director of the North Atlanta Soccer Association when he got the call from the Vestavia Hills Soccer Club. The biggest contrast Harmon saw in the Birmingham area as opposed to Atlanta was a matter of numbers. Harmon said the best selling point for the game is simple – fun. The Vestavia Soccer League offers both recreational and competitive soccer programs for youths up to age 18. It also offers a program for players with special needs. And the league’s work goes far beyond the soccer field. VHSL offers free ACT preparation classes for all high school-age participants. More than 200 students have signed up for the classes. Of all the things that can be done to promote soccer, Harmon said community involvement may be among the most important. “I was watching an NBA game and saw a promotion where Dwight Howard (Houston Rockets star) was reading to little kids,” Howard said. “And I thought, ‘Why don’t we do that?’” So the VHSL began a Reading Buddies program in which players and coaches read to area kindergarten students. “If you embrace the community, it will embrace you,” Harmon said. In the meantime, VHSC teams are enjoying an impressive run on the field. One of the teams Harmon coaches – the 98 Steamers – was a finalist in the prestigious Disney Showcase in South Florida last December. The club has produced four of the eight state champions in under-15 and under-18 boys and girls so far in 2015-16. Harmon is quick to point out that VHSC’s success has been a team effort, with support from dozens of staffers, volunteers and parents. And at the end of the day, it’s all about the soccer.